I’m sure now you have a new set of annoyances. Things people have said to you as a parent because they are “trying to be helfpful” or because “they know how to help”. If you have a difficult child, that lists probably exceeds 5 phrases. No matter the reason… these phrases hurt. I find that it is all too easy to pass judgement on the way others raise their children. If their child is doing something socially unacceptable, then surely THEY haven’t taught their child the RIGHT way to behave. If their child lacks respect, surely THEY haven’t tried a parenting tactic you just know would WORK. I think we can all say we have thought it once, twice, maybe even more. Usually our intent is not malicious or disrespectful. The truth is, none of us KNOW what we are doing. Some of us appear to be BETTER at it than others, but in actuality we are all the same. The truth is we CAN’T compare. We can’t compare because every child is different. Behavior in children is determined by so many factors and variables, that to say that one parent is doing it right or another is doing it wrong is misguided. I used to beat myself up as a parent. What am I doing wrong? Why is my son doing these things? Why can’t I teach him to do differently? I have vivid memories of my conversations with my best friend as I sought comfort and reassurance in the parent I was. However, I continued to battle (and still do sometimes) because of the phrases I would continually hear from people. This is one is tricky. There is so much validity in all of these statements. These are the statements that hurt the most. They hurt because they are what keep my son from being “normal”. They get in the way of others getting to see the son I get to see. They are the things others remember about my son. They are his lasting impression. I have never understood this phrase but I have heard it over and over again. When was the last time you met someone that wanted to get a miss out on an important event? Wanted to get yelled at by others? Wanted to have the things they like taken from them? If we were talking about an adult, we would never assume that person was doing the things because they WANT to get in trouble! Why is this something we would say about a child? Like I said before. I am a hypocrite. Even though these bother me so much, I have done this with other children. I have thought these things and even shared my thoughts with other parents. Even worse.. I have said them about my own son. Maybe we are thinking about it from the wrong perspective. Maybe we have it all wrong. 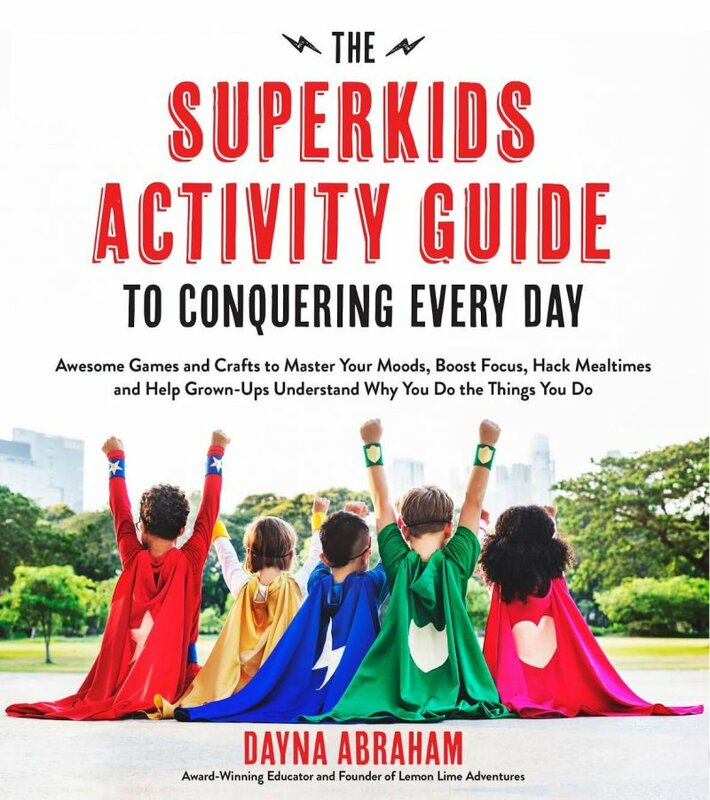 What if it is isn’t about what punishment we think others should try, focusing on the frustrating behaviors, or about a child wanting to get in trouble. Maybe, just maybe, its about learning new strategies, focusing on the strengths of a child and gaining an understanding about what that child needs. If Legoman appears to be “wanting to get in trouble”, more often than not, he NEEDS something. Maybe its a basic need such as food, rest, attention or alone time. Maybe its something more. The more I learn about the needs of a child with Sensory Processing Disorder, the more I learn what he could be seeking. This takes the blame off of him. This allows me to use his strengths to help him. I can acknowledge what he is doing well. And stop there. Sometimes it is so easy to add the “but”. It is my new goal to tell my son more often what he is doing WELL. I will try to not lump them together anymore. This allows me to take the pressure off of what I might be doing wrong. It opens the door for conversations about strategies that are working for others that could work for me. More than anything, it takes the punishment out of the equation. I am not saying that punishments should be removed. It just shouldn’t be the pre-cursor or assumed to be the remedy. Do you have phrases that rub you the wrong way? Do you say things about your own parenting you wish you didn’t? It’s a very interesting post. I don’t hear these phrases often, because I have an easy and compliant child. I admit that very often I am on another side of this barrier thinking those thoughts. I volunteer in my daughter’s school, and I admit that I thought these same thoughts about many kids, and especially about this one boy who seems a lot like Legoman – he is bright, but he does what he wants. This certainly doesn’t make me or his teacher like him. Personally, if I think about what he wants, I think the answer will be “attention”, and I feel sorry for him, because this is something that he simply can’t get in a classroom with 26 kids around him. I understand what it is like to have the compliant child as well. Bones is super simple. Super Compliant. He actually helped me come to the conclusion it wasn’t just my parenting. It wasn’t me doing something wrong. It is hard parenting Legoman. We love him with all our hearts, and he is so close to “typical” that he is very misunderstood. Since learning more about sensory processing and using certain strategies with him, we are starting to see a whole different child. It is wonderful to see. I totally understand. Back when I was raising your older brother everyone, including me and your put him on that class always. We disciplined as we were told, and I know now, we could not help him, because his problem, was medical. And as an adult being raised in the 50 and 60’s, I was taught, as I am sure most from our generation, was Be on Your Best Behavior, or You know What Will Happen! I am learning a new technique, but it is a hard habit to stop. I am proud of your continuing search, to raise, teach, and discipline a child, with a handicap Sensory Processing Disorder. I’m definitely no where near this stage yet as my son is only just about to turn two but, you have some good points here that I’ll try to remember because he can be a handful! It took a long time for me to change my thinking with Legoman. I still have to remind myself on a regular basis to turn my language around and help others around him do the same. 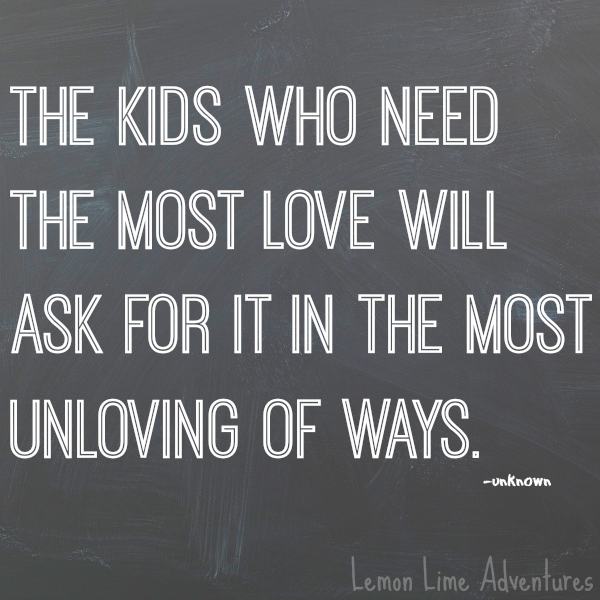 excellent post, and very timely because despite totally agreeing that no child ‘wants to get into trouble’ it certainly felt like that today! 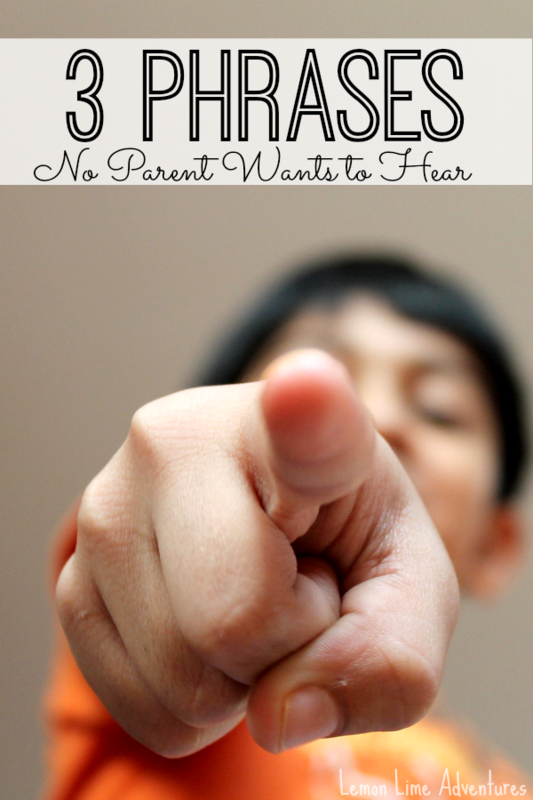 I’m featuring your post on the Sunday Parenting Party this week. That is so kind of you! I look forward to being featured. I will share the Sunday Parenting party with others. I think it is a great place for parents to feel like they are not the only ones going through these struggles. This is a great post, it follows the teachings of Parenting with Love and Logic. As adults, we should apply the same principals to each other and think before we speak. I find myself saying these things about my own children more than I care to admit. Thank you. My friend has read that book and has recommended I read it. Despite how much I read on blogs and articles, and how much I love books, I am not a reader. It is on my list. Papa Bear has read most of it. We are working on speaking positively about our children to each other now. Yes. It is so hard having a son who is so close to “typical”. You can’t see his disability but it is there. Even if he didn’t have one, I still think this article is true for any judgement on the “why” a child is behaving a certain way. I really like your article. I am glad to see that there are many others who see things as I see things. I teach Pre K, 22 years now! For the longest time, as a young teacher, I saw challenging behavior in the classroom as a “disrespect”. In response, I would retaliate. I had an “I will teach YOU a lesson” attitude. I would shout, threaten. It NEVER changed the tough situation that I was presented with. 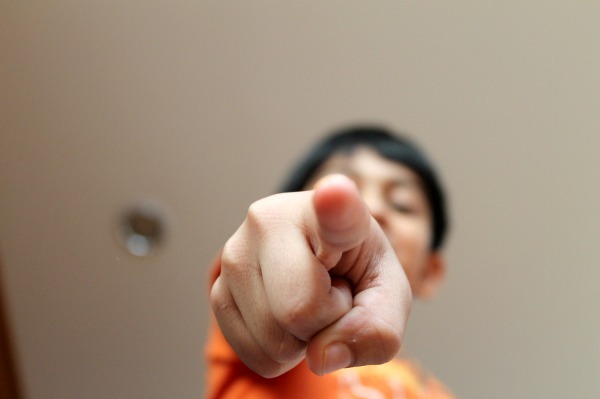 I also felt the child’s challenging behavior was MY fault, a reflection upon me. I would say to myself, “If YOU were a better teacher, then this child would be perfectly behaved”. Now, I am having greater success because 20 years into my teaching career, I am looking at a child and asking, “What does this chid need? Understanding? Patience? Love? Firm guidance? Space to be angry and time to move on? Space to be disappointed? A quiet place with limited stimulation?” And I give them what they need. I have also come to realize that I will never change a child and their reaction right away. It is a long, long process of maturation that may possibly come during the ten months the child is with me…or maybe in second or third grade! But I will be able to change MY reaction with work and determination. I love teaching. I love the challenge it presents. I really wish more teachers could learn the lessons that I have learned. My little boy sounds very much like yours. I just had an awful parent-teacher conference with lots of these phrases. I’m still reeling from it. I’d like to recommend two books: Raising Your Spirited Child and The Explosive Child. These two have been a total game-changer for us. Seriously, both are really worth at least glancing at to see if they sound like anyone you know. Too bad I can’t get the school on board! Thank you for all your wonderful posts. At my pediatrician’s recommendation, we’re seeing an OT for evaluation next week. I’m hoping for some further insight there. Grace, I agree that “The Explosive Child” is an excellent book and wonderful guidance!!! I so love this post! I have a very dear friend whose 16 yo son has aspbergers. Throughout the beginning of our relationship, i not only found myself thinking but also telling her basically how rotten he was and how she just needed to buckle down and be firm in discipling him and he’d act much better! Can you believe that??? And can you believe this woman has still remained my friend??? I was quite young when I had my oldest son, and I was blessed with a child I could have handled with my temperment at that time. He was a super easy baby, immediately sleeping through the night. I never baby proofed anything. One time telling him no was sufficient. He’s neurotypical with the exception of mild ADHD, which was easy to deal with as my own ADHD is far worse. His father and I divorced when he was two. It was just he and I until I remarried when he was 14. My middle and youngest both have autism and SPD, as well as a few more diagnoses. I deeply apologize to my friend on a regular basis. Usually through many tears. I hate that I was “that person” towards her because I totally get it now! There’s a HUGE difference between throwing a fit and having a meltdown! But most people don’t know that. Now when I’m out somewhere and I see a parent having a difficult time with their child, instead of giving that condescending glance that stabs them in the heart when they’re already hurting, I do one of two things. I either, at minimum, give them a sympathetic look, or I actually ask if I can help in any way, especially if I see they have other kiddos in tow. So hang in there all you, mommas, and know that you are not alone in your struggles!! !